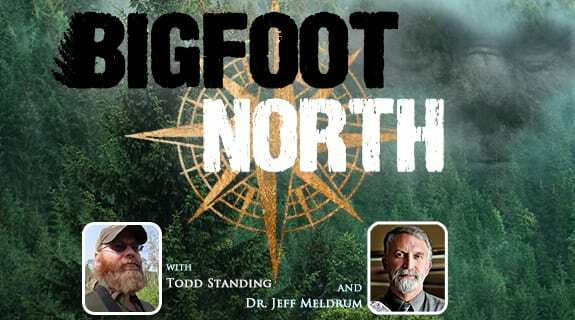 Join co-hosts Todd Standing and Professor Jeff Meldrum as they open a new chapter exploring the legendary mystery of the species known as Bigfoot. Todd and Dr. Jeff will discuss what’s new in their explorations and understanding and what listeners can expect in future episodes of this new radio series. For the past 10 years Todd Standing has been conducting expeditions, documenting chronicles and interviewing people about a relatively untouched region nestled deep in the Rocky Mountains which the First Nations people call ‘Sylvanic’. In 2006 he publically showed 2 separate crystal clear bigfoot videos he himself filmed which he used to petition the Canadian government for species protection of Bigfoot. The petition was certified and tabled in the Canadian House of Commons. Jeff Meldrum is an expert on foot morphology and locomotion in primates. Meldrum has published numerous academic papers ranging from vertebrate evolutionary morphology, the emergence of bipedal locomotion in modern humans and Sasquatch. In 2006 he authored the book "Sasquatch Legend meets science".